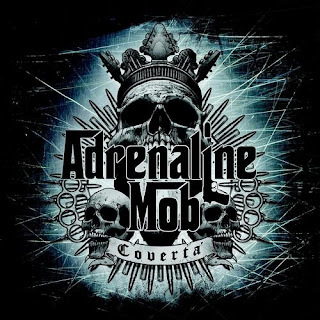 Hall of the Mountain King: Review: Adrenaline Mob, "Coverta"
All are pretty much straight versions, but played with lots of energy and conviction, and they’re easily the three strongest tracks on the record. Elsewhere, it’s a mixed bag. Coverta begins with an interesting choice, Badlands’ “High Wire.” The late 1980s band of former Ozzy Osbourne guitarist Jake E. Lee, Black Sabbath singer Ray Gillen and drummer Eric Singer, who later joined Kiss, barely made a flash in the pan, but is considered by many fans one of the most underrated acts of the period. Adrenaline Mob plays the song straight, and Allen turns in another strong vocal outing. He doesn’t quite hit the highs of Gillen, but it’s a very even, controlled performance. The first real departure from the original comes on The Doors’ “Break on Through.” Drummer Mike Portnoy opens with some pounding drums, and the organ riff is replaced by a deep bass rumble. There’s a punkish energy to the song when the heavier part kicks in, but it just doesn’t have the personality of the original. The same goes for Van Halen’s “Romeo Delight.” Allen, while a fantastic singer, just doesn’t have the smug confidence of David Lee Roth as he delivers the verses, and they lack the character of the original. 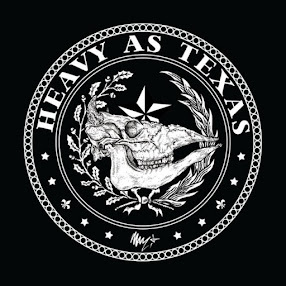 Ending a string of three weaker performances is Heart’s “Barracuda.” The guitar is given a choppier metal cadence, and it ends up coming off very mechanical. This version is not nearly as organic or energetic, and even Allen oversings a bit as he tries to hit the Ann Wilson notes, though I have to admit I like his tough “oooh Barracuda” on the chorus. The final piece is Led Zeppelin’s “The Lemon Song.” The band gives it more of a hard rock feel than the bluesy original. The guitar tone loses some of the nuance that Jimmy Page gave the riff. When the song drops out to the rhythm section and the vocals about halfway through, it’s pretty cool though, putting the focus on what is Adrenaline Mob’s greatest strength — Allen’s vocals. Ultimately, Coverta is about half and half. The three Dio-related songs and the Badlands cover are all really good, the other four have their moments, but largely fall flat. The Dio songs alone, though, are worth the price of admission.